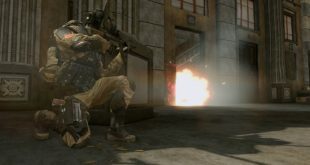 The controversy over Crytek’s use of sexualised female characters in Warface caught Crytek by surprise, admits the developer’s general manager of games Nick-Button Brown. Speaking frankly on the matter at the F2P Summit, Brown said the female character models had been designed by a Ukranian team for the Russian market, and was in fact toned down from what was originally asked for. 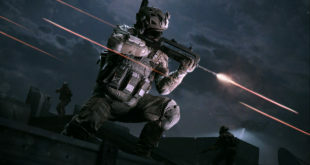 He admitted that Crytek had not expected an uproar over women wearing skimpy outfits in the game, particularly as in countries such as Germany, where one of Crytek’s studios is based, there was a very different attitude to the female form compared to countries such as the UK. "I will admit I was caught by surprise by this. This is particuarly a UK cultural sensitivity. We don’t know how we’re dealing with this yet," he said. "When someone else looks at it, you’re like, yes, you’re right, these are unrealistic simiulations of women with cleavage." He added: "I honestly don’t know how we’re oging to deal woth this. We didn’t know this was coming. I know that sounds stupid, but we didn’t know it was coming and that we were going to offend people with it." Brown said Crytek was currently developing a different feature set for Asia, which while still not completely realistic, would be a lot less sexual. He also later noted, when questioned by a member of the audience if users would really be turned off by the sexualisation of women in a shooter: "It’s more about what I feel myself. It makes me feel uncomfortable when I look at it through someone else’s eyes". During his F2P talk, Brown discussed how there is no such thing as a global market for a game, with a number of acute difference between preferences in each region, not just including the sexualisation of characters, but also the ability to crouch or gun recoil for an FPS. 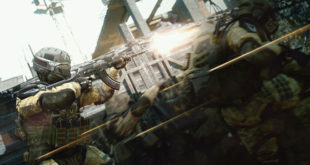 As an example, the main image of this article is a Warface ad placed in Russia.